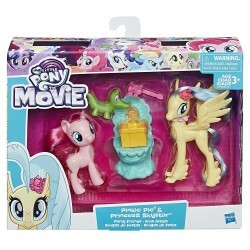 Pretend this Applejack pony figure is sharing stories of friendship and the family farm. 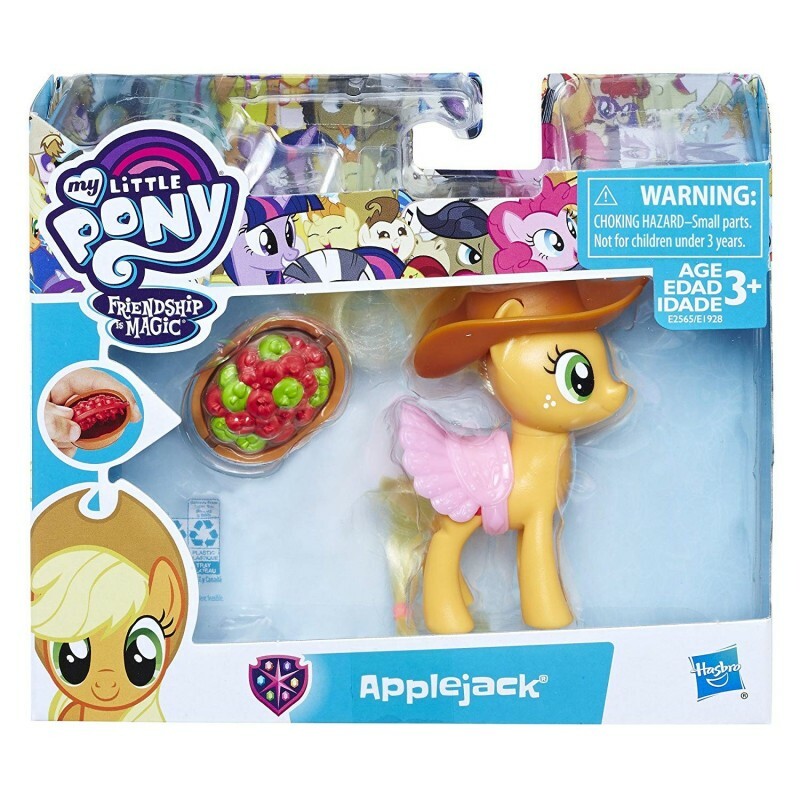 She comes with a barrel accessory to imagine that she is showing students how to buck apples. Flip the barrel over and -- ta da! 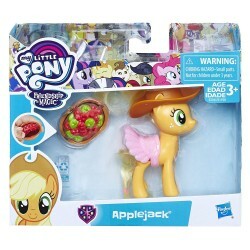 -- reveal apple cores inside to pretend somepony at school ate them all! 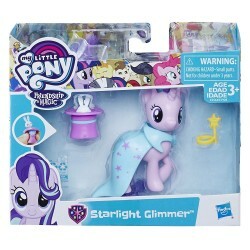 Reveal patterns on her hat accessory under the fashion classroom light in the Twilight Sparkle Magical School of Friendship playset (Sold separately. Subject to availability.) and imagine something magical is ahoof!